Creatine is a naturally occurring substance, found in meat, but not in substantial enough amounts to replenish ATP (adenosine triphosphate) stores, which is part of an energy system used for smaller bouts of high intensity activity. It is one of the most researched sports supplements and it has been proven to assist energy production, slow muscular fatigue, provide greater hypertrophic (muscle building) effect and enhance recovery amongst other benefits. It works by saturating muscle cells, delivering a larger supply of ATP, which as mentioned above is the driving force for the anaerobic energy system – usually short-duration, high intensity activities. Due to this larger supply of ATP, muscular contraction can last for longer durations which reduces muscular fatigue; less muscular fatigue means increased potential for hypertrophy and strength gains over a long time period. There have also been numerous studies exploring the effect of supplementing creatine with results showing benefits to recovery, anaerobic capacity and retention of muscle mass. Creatine Monohydrate is the most common form of creatine (and generally also the cheapest), however there are other forms such as micronised or ethyl-ester, which are sometimes given fancy names to improve their marketability. Some absorb faster and more efficiently, but no creatine is that superior to Monohydrate as they will all end up in the body in the same manner and for the same cause. Furthermore, creatine is sold in many different ways such as powdered form, liquid form and tablet form; no method of consumption is more effective than another, it comes down to personal preference. Despite common misconceptions, 5 grams per day is the appropriate and sufficient dose for creatine supplementation. This can be taken at any time of the day, it will not have more or less of an effect before or after working out; as long as creatine is present in the body it will have its effect. There has been many cases (mostly anecdotal) that creatine causes some hazardous side-effects and should be completely avoided, which is part of the reason why creatine has been such a controversial supplement. Side-effects such as stomach issues, severe dehydration, hair loss, dry skin, fainting and even kidney problems have been associated with the consumption of creatine. 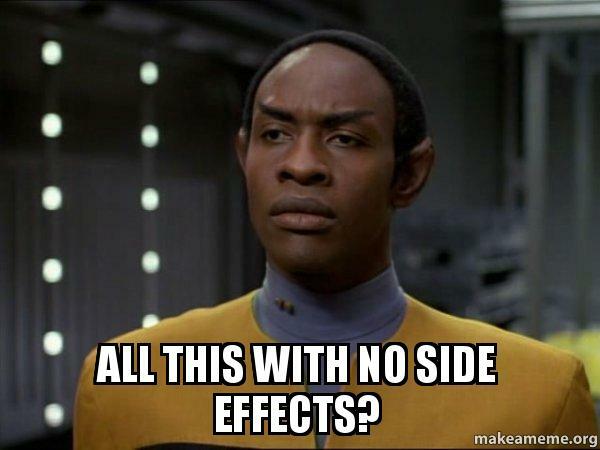 Near to all of these side-effects have been anecdotal and lacked sufficient evidence and/or research. Some studies have shown athletes experience muscular cramps and slight dehydration, which is why keeping a sufficient water intake is necessary if supplementing creatine. However this by no means makes creatine a harmful supplement as it is scientifically proven to be safe and effective. With this said, like most things supplementation is individual and some people react differently therefore it should be treated seriously. It is also wise not to consume in excess, as not only will this provide no further benefit, it may cause issues to arise. This is easily one of the biggest myths about creatine. It is not a steroid, it is not a growth hormone or cutting agent. Creatine use is not considered doping and is not banned by the vast majority of sport-governing bodies, despite a couple of exceptions. It will not “enhance” an athlete like certain anabolic steroids could. Again, this is where research goes a long way as there is a lot of misinformation about creatine. Despite what supplement companies say, there is no need for a loading phase or to take it several times a day, this was a clever marketing trick to make people run through their product faster. The muscle cells will become saturated with creatine after a short period of consistent use. 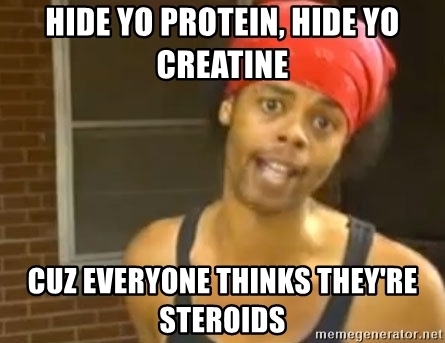 Do not fall for all the fancy names and gimmicky flavours of creatine, with all the “added extras”. You do not need “Micro-power CreaGain Muscle Pro Formula” to get a superior effect to regular Creatine Monohydrate, nor do you need to pay an absurd amount of money for some flavoured creatine. Marketing like this is simply for profit and is part of the reason there are so many misconceptions about one of the safest and most widely used supplements. Research is key for a supplement like creatine where marketing is rife and causes confusion. 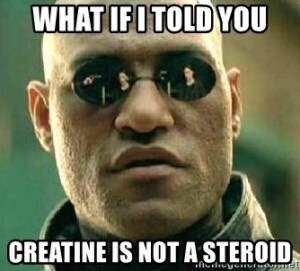 Creatine can often be associated with “bloated”, “puffy” and “watery” muscles, with many believing that their muscles will shrink or sag once they stop using creatine which again is not factual. The reason some people may experience this minor “swelling” is because creatine draws water into the muscle cells in order to have its effect. This is also why it may be important to stay well hydrated whilst supplementing creatine. Conclusion – should I take creatine? People who are in good health, play sport, lift weights, are very active or all of these things would benefit from supplementing creatine into their diet and should strive to put in the research and spread science-based, factual logic to other people who may be interested too! I hope this article helped to give you a concise but thorough breakdown of creatine and perhaps clear up some misconceptions surrounding the supplement. Creatine monohydrate is the most common form and is perfectly sufficient, don’t believe all the fancy marketing! If you would like further advice on nutrition, supplements or would like to speak to Ben about Powerlifting and how he can help you get stronger you can contact him on 07821191293, email him at benlg95@hotmail.com, follow him on Instagram @BLGStrength or head over to Our Team page for more information.